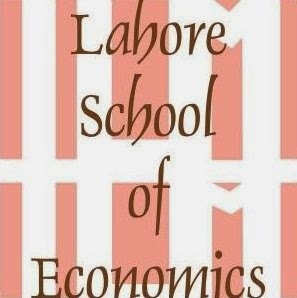 Lahore School of Economics Main Campus Layout (Click to Enlarge). Grab your own hard copy of the map from the School. Ms. Ikram is Assistant Professor of Economics at the Lahore School of Economics. She has an MPhil in Economics, an MBA in Finance, and a BSc in Economics and Finance from Lahore School of Economics. She teaches econometrics, Pakistan economy and public finance at the Lahore School. Her MPhil dissertation looked at the impact of cultural distance on cross country growth spillovers. Her research interests include macroeconomics and growth. She is a recipient of the Gold Medal for the best student in the MPhil program at the Lahore School of Economics. She has also received a Silver Medal for being placed on Dean’s Honor List and finishing at the top 10% of the BSc program at the Lahore School of Economics. Ms. Afzal is Assistant Professor of Economics at the Lahore School of Economics and she teaches courses in areas of economics and finance. She has an MPhil Economics and an MSc Economics and Finance from the Lahore School of Economics. Her MPhil dissertation analyzed the financial system of Pakistan. Currently, she is pursuing a PhD in Economics from Lahore School, and her thesis will look at interest spreads, loan diversification and market disciplines in Pakistan’s commercial bank sector. Her research interests include various aspects of financial intermediation and quantitative risk management tools proposed by Basel Accord for banking supervision. She is the recipient of a Gold Medal for finishing at the top of her class and a Silver Medal for being placed on the Dean’s Honor List at the Lahore School.